Several Truman alumni will be recognized at the Bulldog Forever Celebration Banquet at 6 p.m. Oct. 13 in the Student Union Building Georgian Room as part of Homecoming 2017. In addition to the following honorees, banquet ceremonies will also include recognition of the Alumni Chapter of the Year, Athletics Hall of Fame inductees and the Golden Alumni. For more information on the alumni being highlighted during the banquet, visit the Homecoming Honorees website. Both Ken and wife Kathy are deeply committed to life-long learning, supporting education and giving back to society. 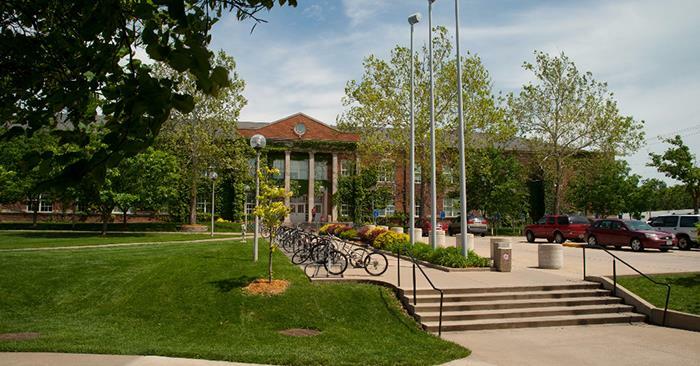 In 2012, they created the Rickli Family Scholarship with a six-figure gift to the Truman State University Foundation. This renewable full-tuition scholarship is now awarded annually to an Affton High School senior who demonstrates great promise of future success at Truman. As supporters of the Foundation, the Ricklis are members of Truman’s John R. Kirk Society and the President’s Circle. After serving a six-year term on the Truman Alumni Board, Sharon remains active with the University as a member of the executive committee of the St. Louis Alumni Chapter. A recently retired special education teacher, she spent the final 15 years of her career at Fort Zumwalt North Middle School in her neighborhood school district. In retirement, she stays busy with community volunteering and the fabric arts. Sharon also serves on the Board of Directors of Fathers’ Support Center, a non-profit in St. Louis dedicated to fostering healthy relationships by strengthening families and communities. John is a partner and head of investment solutions for the Institutional Advisory Solutions practice where he manages asset allocation portfolios for Aon Hewitt’s clients. He has more than 20 years of experience in the financial industry and is a frequent speaker at industry and client conferences, lecturing on asset allocation and alternative investments. A member of the Truman State University Foundation Board, John serves as vice president of the Board and as a member of the Investment Committee. Cody Sumter is a product manager at Facebook for VR Apps and 360 Photography. Previously he was the co-founder of Behavio, a mobile sensing company acquired by Google in 2013. He received his master’s from the MIT Media Lab and MIT Technology Policy Program, where he researched using cellphones as a sensor platform to study social dynamics and human behavior. While at Truman, Cody was involved in the astronomy research program, working on and leading several projects at both the Truman Observatory and Lowell Observatory He also served for three years as the student representative on Board of Governors, and he brought Humans vs. Zombies to Truman. Cody presently serves on the University Foundation Board. A lifelong educator, Gerald spent much of his career as a Spanish instructor and Foreign Language Department Chair at Herbert Hoover High School in Des Moines. He also taught Spanish in the adult education program and was a driver education instructor. 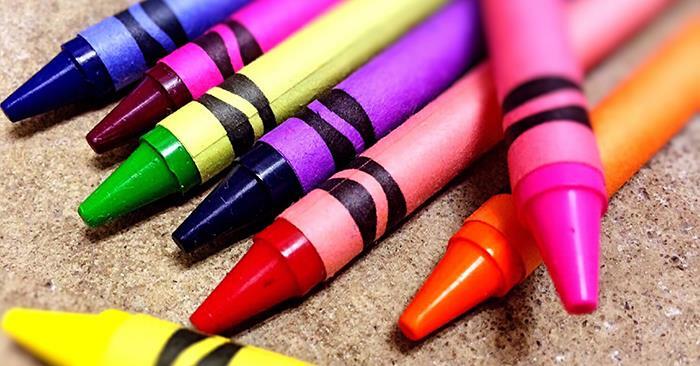 Later, he worked for the Iowa Association of School Boards instructing teachers and their students throughout the state on how to implement a diagnostic program concentrating on individual student curriculum weaknesses with prescriptive remedies. For 11 years, Karol was a full-time mother, raising their three children, David, Daniel and Deanna. She worked as an automation coordinator for 18 years at the Des Moines office of St. Paul Insurance Company and then another 18 years with EMC (Employers Mutual Insurance Companies) as Support Analyst retiring in 2013. She also has enjoyed the Iowa Alumni Chapter’s many activities, volunteering alongside Gerald. 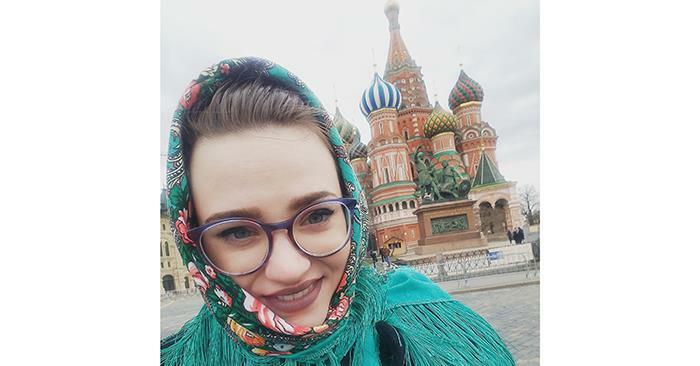 Gerald and Karol spend their free time traveling and have visited more than 50 foreign countries. Both Gerald and Karol are very active in the Iowa Chapter activities of the Truman Alumni Association, and Gerald is a member of the Iowa Alumni Chapter Executive Board. A retired coach and administrator, Lou spent 37 years in education, mostly in the St. Louis area. Some of his associations with Truman include membership in the John Kirk Society and the Pershing Circle. 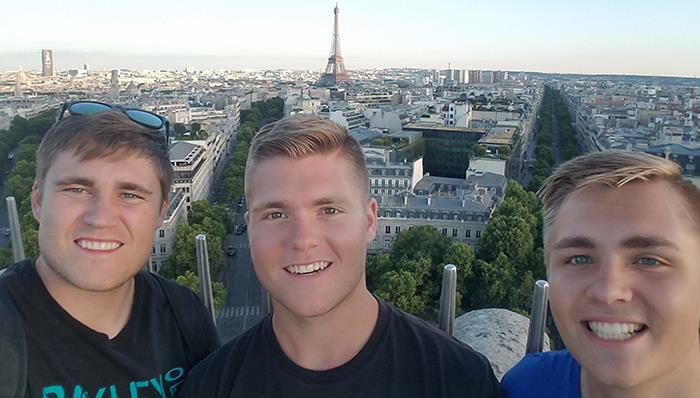 Recently, he served as a committee member for the University’s “Pursue the Future” campaign in the St. Louis region. While attending Truman, Lou played football as a safety, defense end and strong side end. During this time, he was also part of the collegiate baseball team. Additional honors and organizations include Who’s Who, Phi Delta Kappa, Alpha Phi Omega, Sigma Tau Gamma fraternity, Student Government and K-Club. The 2017-18 Kohlenberg Lyceum Series kicks off with the presentation of “American Rhapsody: The Gershwin Songbook,” at 7:30 p.m. Oct. 23 in Baldwin Auditorium. Under the instruction of Michael Andrew, The Gershwin Big Band pays tribute to George Gershwin through melodies that are just as fresh as they were in the Jazz Age. With works ranging from Broadway, Hollywood, opera and classic, Gershwin was tagged as one of the most indelible composers of the 20th century. 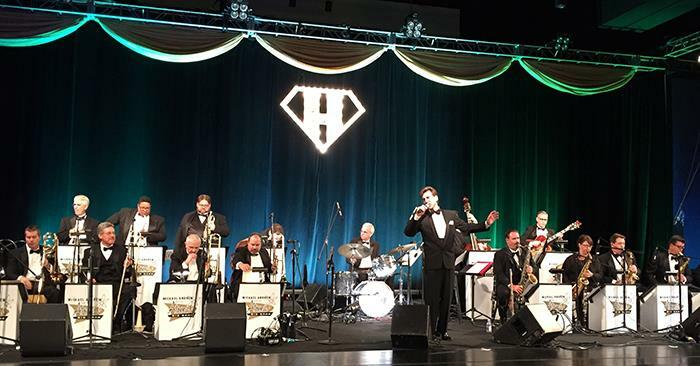 The evening combines a 17-piece band to perform “I Got Rhythm,” “Someone to Watch Over Me,” “The Man I Love” and many other time-honored Gershwin standards. With an incredible dynamic range and proclivity for swing and improvisation, the big band style is ideal for presenting the works of Gershwin, who influenced American music at a time when big band was becoming the definitive sound of pop. 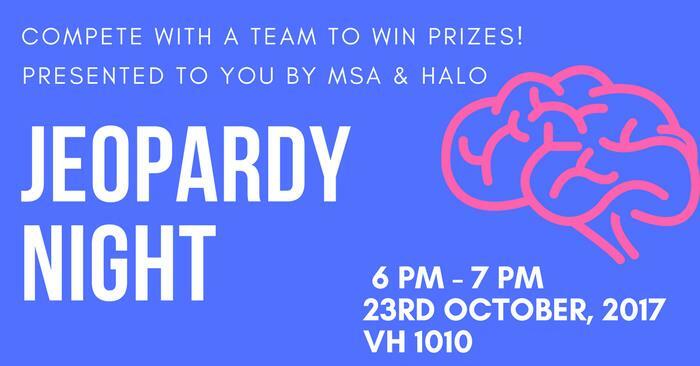 Tickets are on sale now and may be purchased at the cashier’s window, located on the first floor of McClain Hall, between 10:30 a.m. and 3:30 p.m. Monday-Friday. Tickets are also available online at lyceum.truman.edu or at Edna Campbells in downtown Kirksville. All tickets are $5.50 (includes tax). Questions regarding the Kohlenberg Lyceum Series can be directed to pr@truman.edu or 660.785.4016. If there is light rain, the 5K will take place as scheduled. If there is thunder or lightning, it will be cancelled. If there is light rain, the parade will take place as scheduled. If there is thunder or lightning, it will be postponed. Pre-Game Tailgate: 11:30 a.m.-1:30 p.m. If there is light rain tomorrow, the tailgate will continue as planned in the tailgate lot at the corner of Patterson and Franklin streets. If there are thunderstorms, lightning or high winds, the tailgate will be moved into the Student Union Building. The pep rally will take place in the Student Union Building Georgian Rooms, regardless of the weather. Rain Site: Pre-Game Tailgate: 11:30 a.m.-1:30 p.m. If the tailgate is moved indoors, there will not be assigned tailgate locations nor tables for groups and organizations. No alcohol, coolers or outside food is permitted inside the Student Union Building. 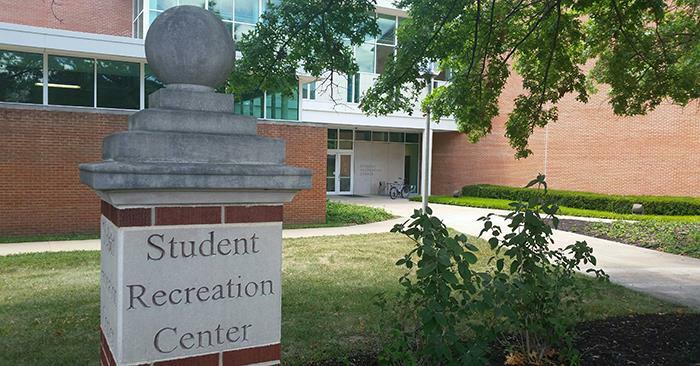 The football game will be lived streamed in the Student Union Building Hub. Post-Game Tailgate/150th Celebration Concert: 5 p.m. The post-game tailgate is officially scheduled to take place indoors, regardless of the weather. 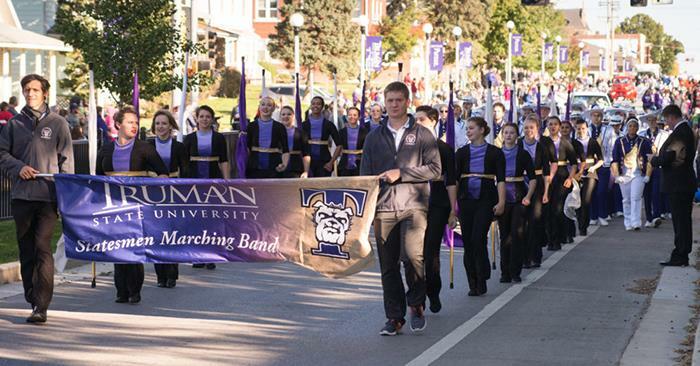 Truman will celebrate Homecoming the weekend of Oct. 14, and several additional events have been scheduled this year in conjunction with the school’s sesquicentennial. Highlights taking place on Saturday include the annual 5K run/walk at 8 a.m. starting at Barnett Hall, followed by the parade at 9 a.m. beginning downtown and venturing through campus on the east side of Franklin Street. 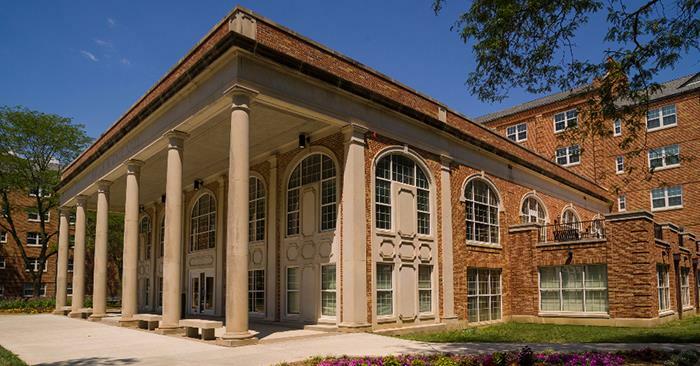 The first of two ceremonial ribbon cuttings will take place at 10:30 a.m. when the University officially christens the newly renovated Baldwin Hall. 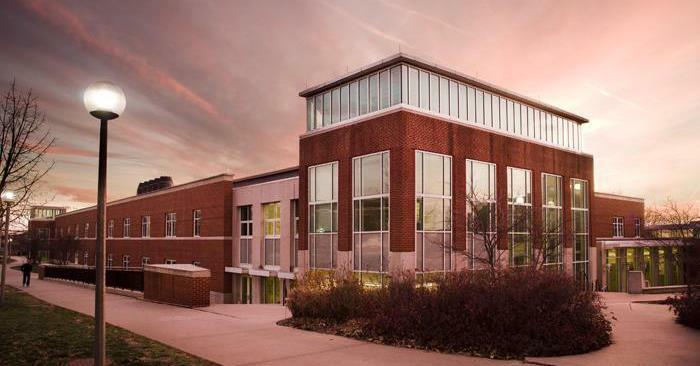 The nearly 80-year-old building was offline for the entire 2016-17 academic year while major updates were completed, including new heating, air conditioning, lighting, plumbing, wiring, walls and flooring. The Bulldog Forever Tailgate opens at 11 a.m. in the parking lots located at the southwest corner of Franklin and Patterson streets. A barbecue meal will be available for purchase, and Homecoming apparel will be on sale. The Homecoming pep rally will take place at 1 p.m. at the tailgate. 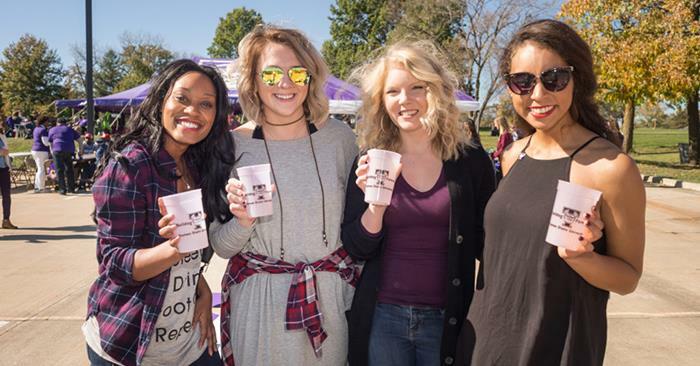 For details regarding the tailgate policies, including grilling and alcoholic beverages, visit truman.edu/wp-content/uploads/2015/09/Homecoming-Tailgate-Policies.pdf. Stokes Stadium will be the site of the day’s second ribbon cutting. Ten minutes before the 2 p.m. football game against Grand Valley State, there will be a ceremony marking the installation of new turf and a new track. 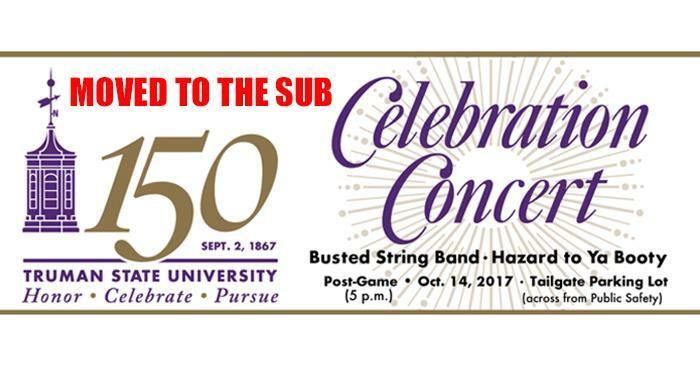 As part of the yearlong sesquicentennial festivities there will be a 150th Celebration Concert following the Truman football game Oct. 14. It will feature alumni bands Hazard to Ya Booty and the Busted String Band in the tailgate parking lot. Music will start following the game and light snacks will be provided as the fun continues. 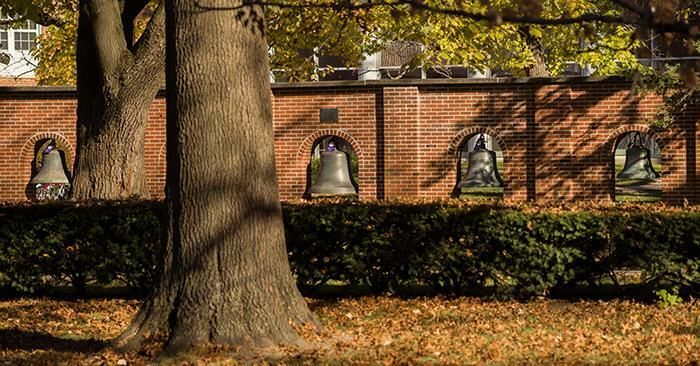 For a complete listing of all Homecoming events taking place Oct. 13-15, visit truman.edu/alumni-donors/events/homecoming or homecoming.truman.edu. 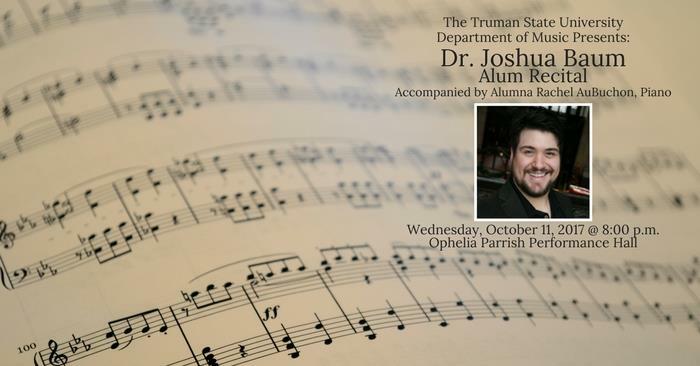 Tenor Joshua Baum will return to Truman for an Alum Recital, accompanied by alumna Rachel AuBuchon on piano, at 8 p.m. Oct. 11 in the Ophelia Parrish Performance Hall. A Kansas City native, Baum received his undergraduate and master degrees from Truman and his doctorate from Michigan State University. 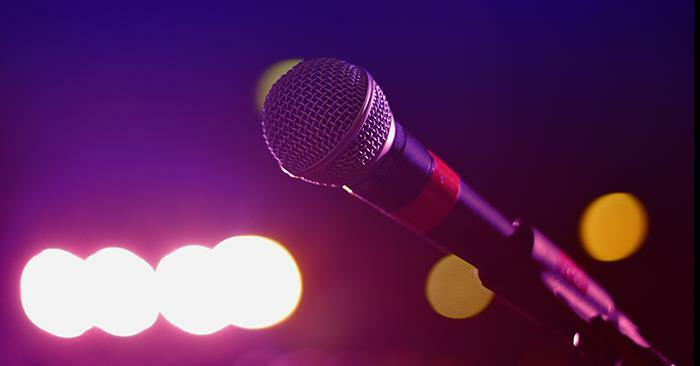 As a performer, he has appeared on stage at some of the most notable opera houses in the world including San Francisco Opera, Houston Grand Opera, Lyric Opera of Chicago and Chautauqua Opera. 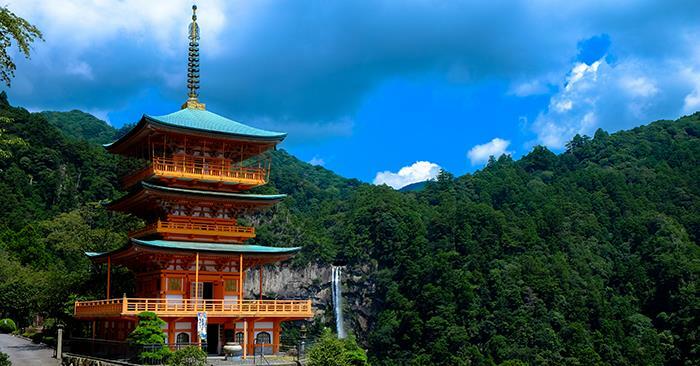 He has performed internationally in Italy, Greece and China. As an educator, Baum has taught at Truman, Michigan State University, Grand Valley State University and Aurora University, where he directed the voice and opera programs. Filmmaker and former Truman student Shawn Batey will return to campus for a screening of her new documentary, “Changing Face of Harlem” at 3:30 p.m. Oct. 13 in Baldwin Hall 251, followed by a question and answer session. Batey, an award-winning filmmaker, has more than 15 years of experience as a producer, filmmaker and writer of documentary films and videos. 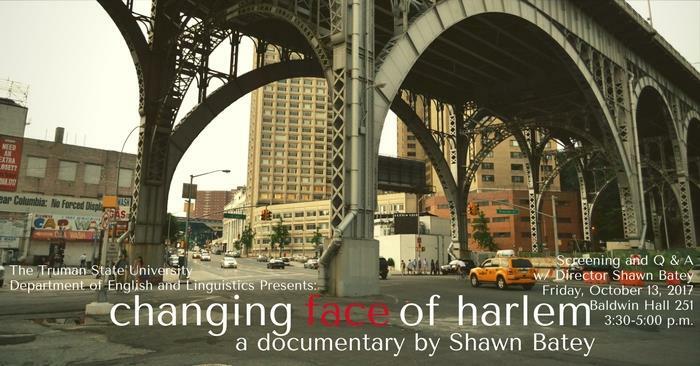 A one-hour documentary that examines the revitalization of Harlem, “Changing Face of Harlem” is told through the deeply personal stories of its residents, small business owners, politicians, developers and clergy. Identified as the birthplace of the Black Renaissance, the film takes a critical look at Harlem’s history, early development and its present transformation. Production began in 2000 and continued over a period of 10 years. “Changing Face of Harlem” was chosen as an official selection for the San Diego Black Film Festival, the San Francisco Black Film Festival, Big Muddy Film Festival, Reel Sisters Film Festival and numerous other festivals and conferences nationwide. The film has also screened at Maysles Cinema, Anthology Archives and CUNY Gotham Center. Third World Newsreel is the distributor of “Changing Face of Harlem” as well as two other of Batey’s films: “Hair-Tage,” a cultural documentary on dreadlocks, and “Through My Eyes,” an interpretation of September 11th from the perspective of Latino and African-American youth. Her additional credits include “60+,” a musical documentary of an all-female senior citizen band, “Making the World Feel Better,” “The P.S. 230 Mural Project” and “Tree Fever,” a quirky look at Christmas tree sellers in Upper Manhattan. The documentary screening and question and answer session are sponsored by the Department of English and Linguistics. Both are free and open to the public. Ofstad scholar Kate Riestenberg and Sky Campbell, director of the language department of the Otoe-Missouria tribe, pose with students working on documenting the tribe’s language documents. Pictured, from left to right: Maria Padron, Riestenberg, Campbell, Ricky Rassool, Katie Kraeski and Sarah Holtmeyer. As part of her linguistics course in learning about how communities respond to the global crisis of language endangerment, Clayton B. Ofstad Scholar Kate Riestenberg arranged for students to collaborate with Sky Campbell, director of the language department of the Otoe-Missouria tribe. 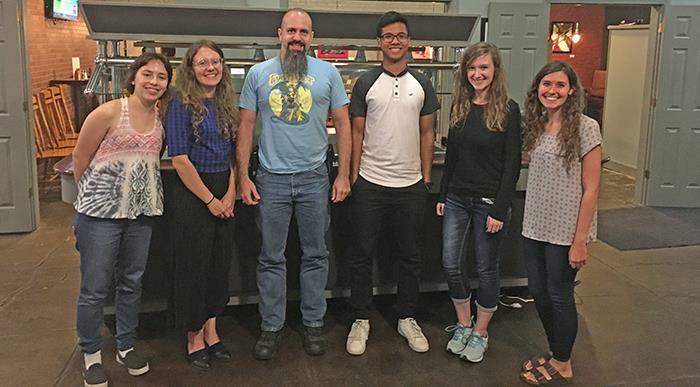 Toward advancing the goals of language preservation, Truman students are working with historical Otoe-Missouria language documents and digitized recordings. After the course ends, students will have the opportunity to continue this work. 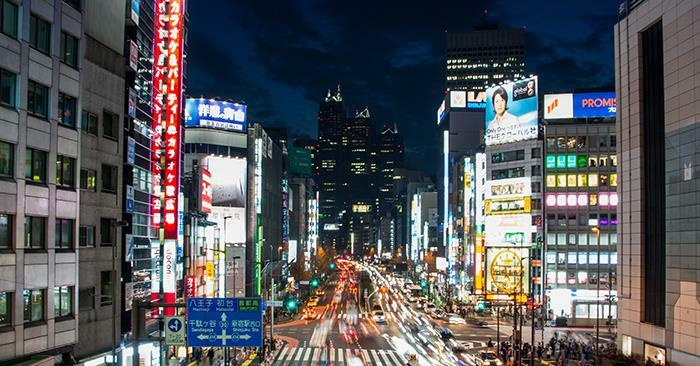 This project benefits students by adding real-world context to class topics and providing an opportunity for them to apply their linguistic skill set. It also benefitted the Otoe-Missouria tribe by advancing their ongoing work. Riestenberg is currently a posdoctoral fellow at the Smithsonian Institution. Remnants of the gum proceed down Franklin Street during the Homecoming parade in 1999. Vandals destroyed the tree that fall, but new versions have continued on campus ever since. In the 1920s, it was against the rules to chew gum in class. According to campus lore, students used to stick their chewing gum inside an old suit of armor named Oscar located inside the library. That hiding spot was later replaced by a tree on the east side of the Quad because it was closer to classrooms. Some said adding gum to the tree would bring good luck. Others claimed contributing to it on the way to an exam would ensure a passing grade. 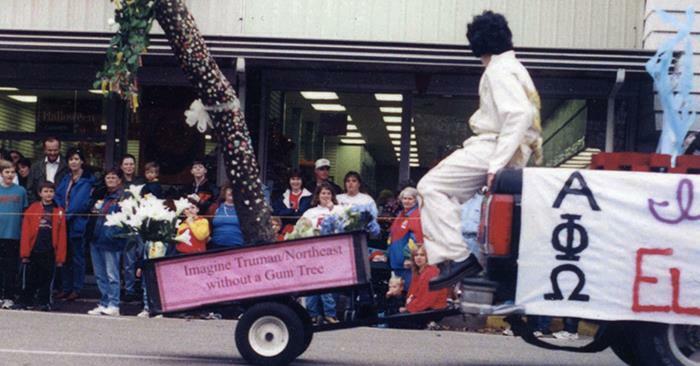 The original gum tree was knocked down by vandals in 1999, and the tree made its farewell appearance as a float in the Homecoming parade that same year. Within days of the first gum tree being knocked down, a new one was appointed. The replacement tree survived for many years until it was lost due to a drought in the summer of 2012 and had to be cut down a year later. The most recent gum tree is located on the west side of the Quad near the sidewalk. To see more campus traditions, visit truman.edu/about/facts-about-truman/traditions. Sarah Berke’s Biology 100 classes worked in groups to create Genetics Bill of Rights posters outlining their ideas for every citizen’s rights and privileges concerning genetic information. The students presented their posters in Magruder Hall Sept. 26 and 28 and encouraged fellow students, staff and faculty to show their support by signing one or two. 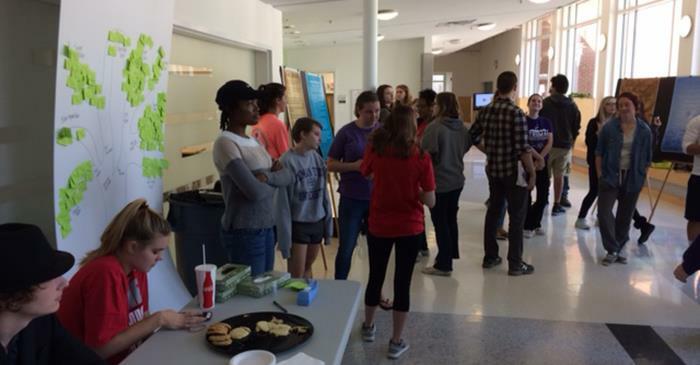 They also engaged the community in an activity which celebrated genetic diversity on campus, and more than 300 people participated. A follow up activity will have the students write a letter to their legislators outlining their concerns regarding genetic information based on what they learned. 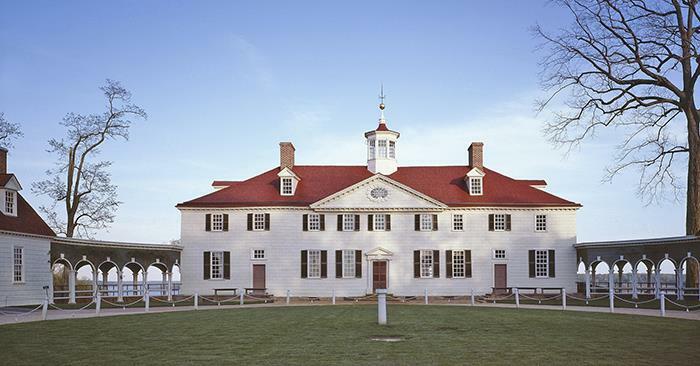 The development of these activities was supported by a civic engagement grant to Berke. The Truman State University Foundation Spring 2018 Foundation Scholarship applications are now available. To apply, log in to TruView, go to the Student Tab, Student Finances, Foundation Scholarship Application. 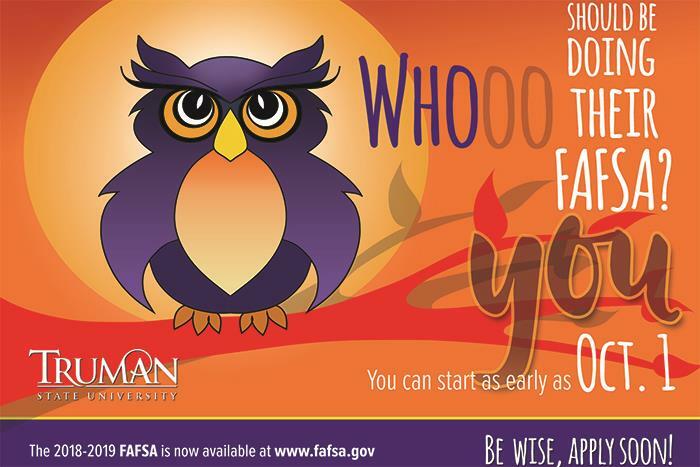 Students can submit and revise their application online at any time prior to the deadline of Nov. 3. This is a smaller application period for Foundation scholarships that have not yet been awarded for 2017-18. The main application period will begin in February for the 2018-19 scholarships. 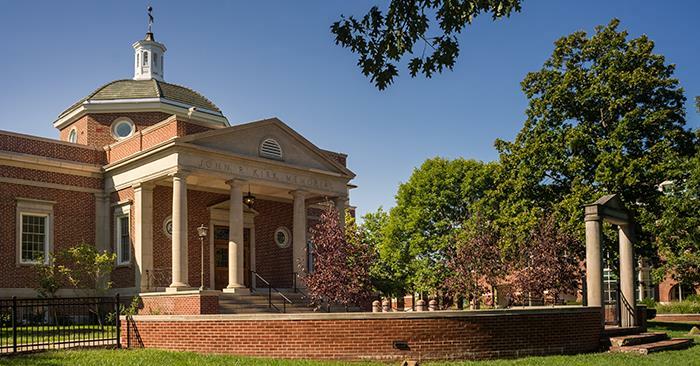 These scholarships are available thanks to the private gifts of alumni and friends of Truman State University. Alumni chapter and club volunteers, Alumni Board members, Foundation Board members and the deans are participating. All interested department chairs, faculty and staff are encouraged to attend. Attendees should bring business cards. 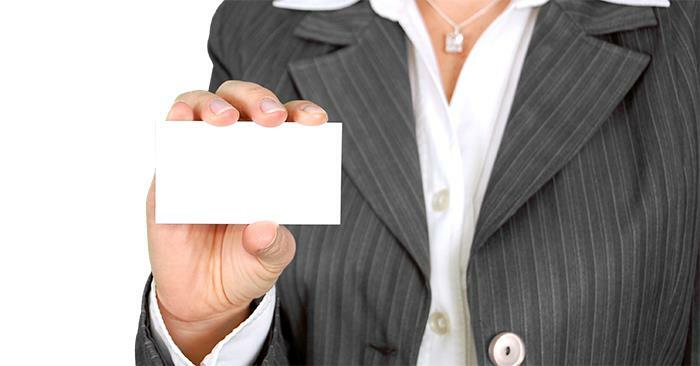 Volunteers and Board participants will indicate on the back of their cards if they are willing to mentor students, offer internships, speak to classes, etc. 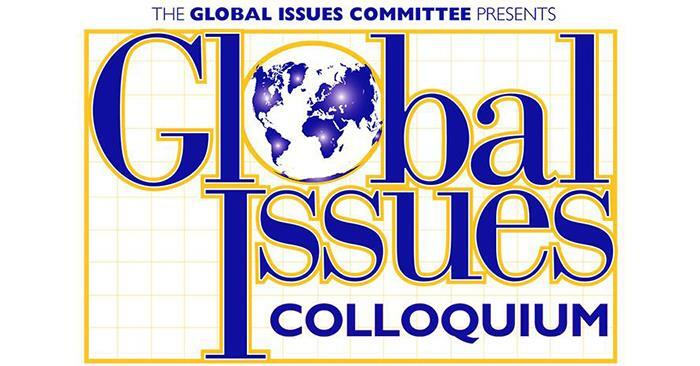 For questions regarding the event, email dlsmith@truman.edu. To RSVP, email alumnievents@truman.edu or call the Office of Advancement, 660.785.4133. As part of the yearlong sesquicentennial festivities there will be a 150th Celebration Concert following the Truman football game Oct. 14. It will feature alumni bands Hazard to Ya Booty and the Busted String Band in the Student Union Building Georgian Rooms. 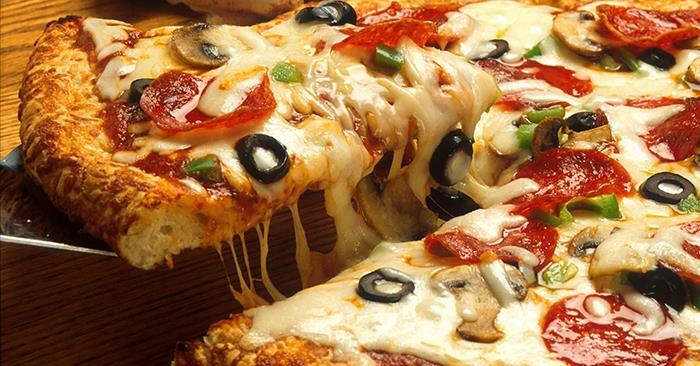 Music will start following the football game and light snacks will be provided as the fun continues. Psi Chi, the international honor society for psychology, will host a graduate school expo from 6-8 p.m. Oct. 16 in Ryle Hall Main Lounge. All are welcome to visit with prospective graduate schools, such as Western Illinois University and the University of Missouri, offering programs ranging across the disciplines of psychology. Light refreshments will be offered. 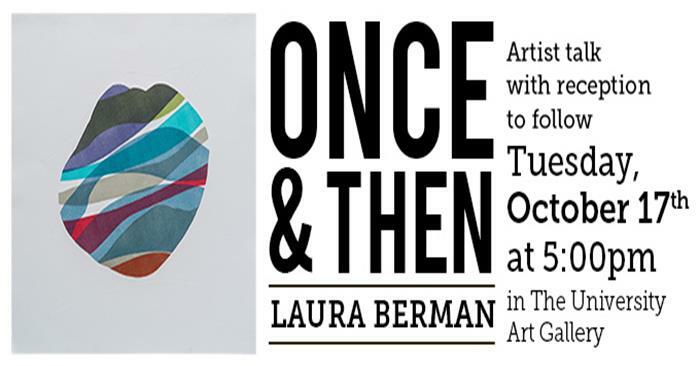 The University Art Gallery will host an artist talk and reception with printmaker Laura Berman beginning at 5 p.m. Oct. 17. “Once and Then” features the recent work of Berman, a professor at the Kansas City Art Institute. She has developed a unique monotype technique that she uses to create bold, abstract compositions that play with pattern, layering and an enthralling array of colors. Although her prints are often abstract, her forms are inspired by objects that she collects in her home and that document people she has known, her travels and natural history. Her exhibition includes prints, watercolors and installation-based works. 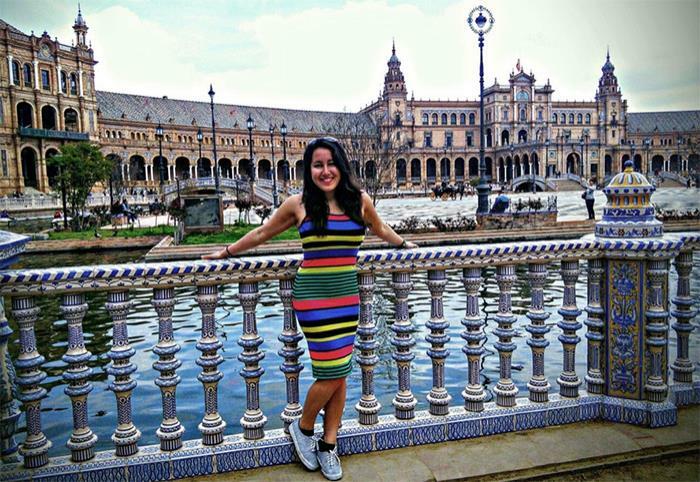 Truman in partnership with Universidad de Burgos, offers a unique student exchange program for study in Spain. Surrounded by the gorgeous and historic city of Burgos, students are always in close proximity to cultural events. Students are offered Intensive Spanish language training as well as other courses in a variety of disciplines including economics, art history, biology, sociology, nursing, law, finance and accounting, political science, occupational therapy and engineering. Courses are taught in English and Spanish. Students also have the option of getting credits by registering in the practicum course. The internship involves assisting teachers and preparing activities to help students develop their speaking and listening skills. Along with this practicum comes the possibility of a small stipend. Because this is an exchange program, students who plan on participating will pay Truman tuition directly to Truman. This makes payments easy and affordable. Students have three options for housing: they can stay in furnished University dorms located on the San Amaro campus, be in a home-stay with private room and laundry or share a flat with Spanish students. Students are responsible for arranging and paying the University of Burgos or their landlord directly for all housing costs. To apply, fill out a Truman application and send a statement of purpose, official transcripts, a copy of passport and two letters of recommendation to the Study Abroad Office in Baldwin Hall 106. Application deadline for spring (February to mid-July) is Nov. 15. Application deadline for fall (September through December) is June 15. Professor Lisa Hooper and students will lead a tree walk Oct. 27. Come learn about Missouri native trees growing on the quad. Meet at 5 p.m. at the north entrance to the quad (on Normal St.). All are welcome. Participants can come and go as they please. The Student Health Center will be providing walk-in STI testing for chlamydia, gonorrhea and trichomonas from 8 a.m.-12 p.m. Nov. 3 at the Health Center. Testing is done through a urine sample. The CDC recently reported new cases of sexually transmitted infections reaching record highs in 2016 with 20 million new cases reported annually. Additionally, they report 50 percent are in adolescents and young adults aged 15-24. Students will be charged the significantly reduced rate of $30 on their student account for all three tests and will have access to a HIPAA-compliant, secure website to review their results. Individuals testing positive may seek services for treatment at the Health Center or at a provider’s office of their choice. The Truman Communication Disorders Department will host a Graduate Student Open House from 10 a.m.-1:30 p.m. Nov. 4 in the Health Sciences Building 2203. All prospective students interested in pursuing a master’s degree in communication disorders from Truman are invited to attend. Information regarding the CMDS graduate program, the profession, employment opportunities and funding for graduate school will be provided along with the opportunity to meet faculty, alumni and students of the program. RSVP to Connie Ikerd.